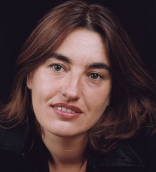 Karen Amaia Bilbao der Kinderen was born in Freiburg of Basque and Dutch parentage. Graduate in Psychology from the U.P.V./ E.H.U. (University of the Basque Country). Professional photographer since 1990. Residing in Bilbao, works for cultural and advertising publications. Among many exhibitions, those in the Museo de Reproducciones Artísticas de Bilbao (1994), in the Taberna de los Mundos in Bilbao and Vitoria (2001 and 2005) and in the Casa de Cultura Ignacio Aldecoa (2007), are worth mentioning. Among her publications are two volumes on wild flowers, edited and brought out by the BBK (Basque Savings Bank), “Flores silvestres de Bizkaia”, (2004 and 2006). Karen Amaia Bilbao der Kinderen, nacida en Friburgo (Alemania) en 1965. De padre vasco y madre holandesa, es licenciada en Psicología por la U.P.V./ E.H.U. y fotógrafa profesional desde 1990. Afincada en Bilbao, trabaja para publicaciones culturales y publicitarias. Entre otras, cabe destacar sus exposiciones en el Museo de Reproducciones Artísticas de Bilbao (1994), en la Taberna de los Mundos de Bilbao y Vitoria (2001 y 2005) y en la Casa de Cultura Ignacio Aldecoa de Vitoria (2007), así como la publicación de los libros editados por la BBK “Flores silvestres de Bizkaia” volúmenes I y II (2004 y 2006). Among many exhibitions, those in the Museo de Reproducciones Artísticas de Bilbao (1994), in the Taberna de los Mundos in Bilbao and Vitoria (2001, 2005 and 2011), in the Casa de Cultura Ignacio Aldecoa (2007), and in the Torre Salazar in Portugalete (2015) are worth mentioning. Among her publications are two volumes on wild flowers, edited and brought out by the BBK (Basque Savings Bank), “Flores silvestres de Bizkaia”, (2004 and 2006). She has also done the photography, design and lay-out of her father´s biography “Carmelo Bilbao-Unanue, life and work”, written by the historian Jose Mª Arenaza (2016).